1btc is around 353.2$ now, actually the value fluctuates, but the bitcoins price are increasing rapidly! it's around $370+ now, yesterday it was 350$ now increased! in some days it might reach to 400$+ but our question is how can we earn bitcoins! Now before getting started to earn bitcoins on autopilot, we need a wallet or you can say like a paypal account where these bitcoins can be stored, so i prefer use blockchain wallet, which is most secure wallet and i am using it! just fill the details correctly and do the backups of your identity,btc address and so on' just read the details carefully you will get to know all! got any doubt in signing up just comment' and i will help asap! now we got the wallet! 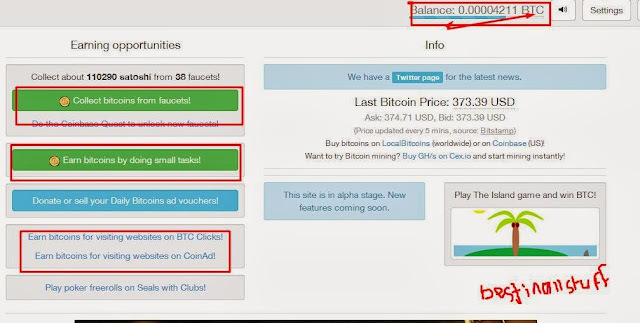 now need some faucet sites to earn free btc! 1.first i want to suggest freebitco.in which is a free bitcoin faucet site' where u can earn btc for evey hour just rolling! 4.just click on roll and it will indicate a number, the number will be in between the above numbers range and you will be rewarded based on that! usually you will get the first one! sorry for that' you need some luck for this! 5. It will show a timer and after an hour you can again click on roll again! there is an option called mutliply your btc' try it' if u are lucky u can win the jackpot! so what you guys are waiting signup now for freebitcoins! 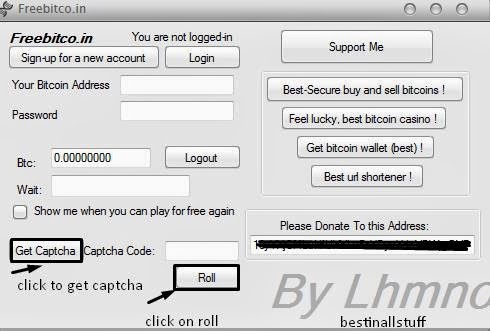 just one idea' get a cheap rdp, open this site' install mouse recorder' and set it 20minutes' and make it click on open faucet' because mostly u don't need to enter captcha' it worked for me! not sure if it works for u too' i stopped trying it'! so guys next post will be on gambling sites and some ptc sites for btc' and also my favourite btc bot! stay tuned and have any doubts or problem' just contact me' here!